tool that will improve access to all the Libraries’ electronic and print resources. Sophisticated Search Function: Summon offers a much more robust search than the current online catalog. With Summon, users can limit search results with a much wider range of search attributes, such as year of publication, language, type of resource or material. New Book Search: The menu option from the Libraries' home page, "Books and More," will no longer lead to a keyword catalog search. Instead, users will be taken to a Summon search that will exclude journal and newspaper article content. you can expect to see when the new system goes live! Print and eBook collections: There will be no changes to how you access or view the Libraries’ print and eBook collections. Access to E-resources: Access to the Drexel Libraries’ authoritative databases and online journals will not change. Course Reserves: Access to your course reserves will not change. Spring 2018 - The Libraries' data are loaded into Alma sandbox for testing, profiling refinement, and staff training. June 2018 - Libraries staff training continues, final decisions about system settings and profiles are made. From July 30 to August 13, you may not be able to renew books online. Information about the availability of print resources listed on the Libraries’ website will also be limited during this time period. To renew a book or for more information about the availability of a book or other resource, chat with us online, stop by the Circulation Desk or email us at libassist@drexel.edu. How will this new system affect how I find library materials? The process for finding Libraries resources will be largely unaffected. Summon ​will function in much the same wa​y​ as our current catalog, but ​with improved functionality. What about databases I use for my research? ​The new system will have no effect on library databases. You will still be able to access all the library's electronic resources throughout the transition. 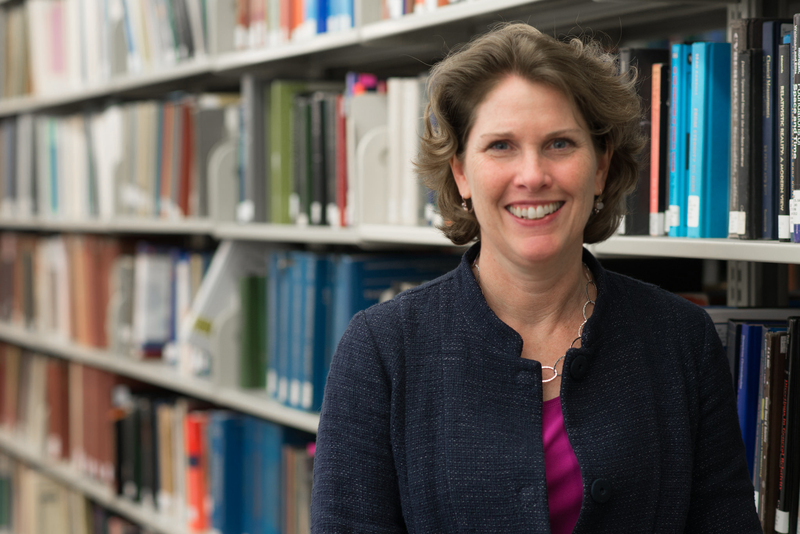 Why is the Libraries replacing its current online catalog? The Libraries’ current online catalog is an antiquated system that was installed in the 1990s and built for organization and inventory control of print resources. The Libraries currently offers Summon search for discovering journals, journal articles, print and eBooks, but not for other resources such as databases. Following this change, Summon will be used to search all the Libraries’ physical collections and licensed information resources. What are the benefits of using Summon? Summon is a 21st century search engine that allows for faster and better searching and discovery of resources and information all in one place. It behaves the way many other well-known search engines function and should look familiar to our users. Not much! Your workflows will look largely remain the same, but Summon offers a much more robust, sophisticated search function. Search results can be limited by a much wider range of attributes, like publication year, language, type of resource or material. Will this affect my course reserves? Access to your course reserves will not change. For physical reserves materials, continue to inquire at a Library service desk. Electronic course reserves materials will continue to be available via BlackBoard Learn. Note: clients interested in law reserves should contact Margaret DeFelice at mpd86@drexel.edu or #215-571-4724. The process for placing a hold will remain largely the same. Start by searching Summon. Click on the title of the book you would like to request. Summon will send you to a page with more information about the book. On this page, you will be prompted to log in to access additional Library Services (look for the horizontal yellow bar). Once you log in, your options for requesting the book will appear. Click the Request link. Note that this link will not appear for items that are not requestable). Choose the Library where you would like to pick up the book, and click ‘Send Request’. You will receive an email when your book is ready. 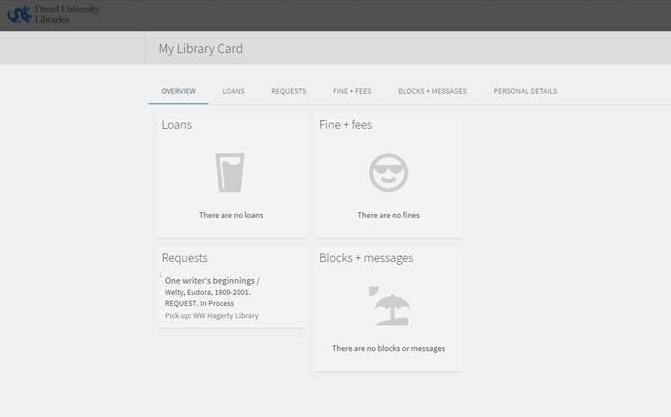 How do I renew books through my personal ‘My Library Account’? To renew materials online, log into your personal ‘My Library account’. You will see a list of all items you have checked out listed in the ‘Loans’ section of your account. Click ‘Renew All’ or select the ‘Loans’ tab to renew individual items. As a reminder, not all materials may be eligible for renewal. A message will display for renewals that were not successful. As we undertake these changes, we value your opinion and want to hear from you. Please use this feedback form to submit your questions and comments.